This entry was posted on July 27, 2010 at 5:57 pm and is filed under Uncategorized. You can follow any responses to this entry through the RSS 2.0 feed. You can leave a response, or trackback from your own site. Now kicking myself that I didn’t send the spare copy of Skippy back with Sheila! Kevin you won’t be alone with your views on the David Mitchell, I have given up on it twice, second time quite a long way in,so I will be interested to read your thoughts and I’m not sure I have the energy to try again, but bearing in mind your valiant Wolf Hall endeavours last year perhaps I should. I’m reading C at the moment and am still reserving judgement, plus having had a Festival in the middle I might start it over. I’m looking forward to the Howard Jacobson though seem to recall I was in the minority for loving Kalooki Nights. All in all a rather strange and unpredictable Booker year I think. 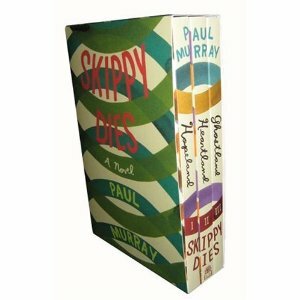 I wish you had sent Skippy Dies 🙂 — I don’t have any of the nine that I haven’t read on hand so have to wait for shipping which means I lose a week of reading time. I am still scratching my head over the longlist. Part of me salutes the jury for rejecting some novels from “names” that I just did not think were very good — Ian McEwan’s Solar, Martin Amis’ The Pregnant Widow and Yann Martel’s Beatrice and Virgil (a book that I disliked intensely). I am not a Peter Carey fan, but a lot of people are, so that was not really a surprise. I am looking forward to the Warner, Dalgut and McCarthy. I know some of the other authors by name, but will admit to not having read them. It does seem to me that (outside of rejecting some well-known authors) this year’s jury has stuck to a pretty conventional list. Then again, I might change that opinion when I actually read the books. Interesting selections to say the least…. Thanks Kevin. Thank goodness you are always on top of everything – and now I have a very long list of books to read! Continuing to love KFC – you should be nominated for your blog! Nine to go, Kevin. I had hoped you’d be down to six or seven as well. You’re up on me, though, as I’ve only read two. I’m against Mitchell winning this year. I think he deserves a Booker at some point in his career, but I didn’t like this book. 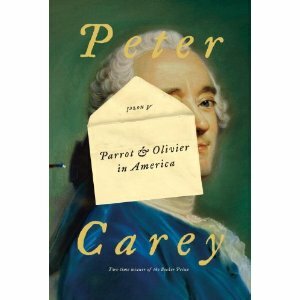 I also hope that Peter Carey’s doesn’t make it to the shortlist. I liked it at points, and it ended better than it began, but, to my surprise, it has gone down in my estimation since I finished it. Thanks to you, I have a copy of February ready to pull from the shelf. 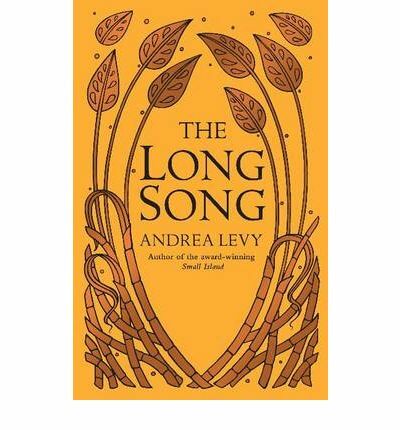 Knopf is sending me C. Of the rest, I’m very interested in The Long Song. I’m intrigued by the remaining eight (which wouldn’t have been the case had Forna, McEwan, Martel, or Amis made the list. I probably wouldn’t have read any of those. At this point, I might read this list. I read Room over the weekend and will post my thoughts later this week. I thought it an extraordinarily moving and accomplished novel, definitely one of my favourites of the year so far. Karyn: You don’t have to read them all, but I hope you will find some that spark interest. Thanks for the kind words. Trevor: My impression is that you have read the two “densest” on the list. The Long Song isn’t short but has more narrative flow than Mitchell (and Carey, I suspect). It does seem to me that while the jury did not strike out a radical direction, they also did not just opt for the obvious. I’m interested in the books I haven’t read, even though I suspect I will find some of them wanting. kimbofo: Thanks for that thought and I look forward to your review. Donoghue is one of those Canadian novelists who gets published in the UK first (Room is not out here until Sept. 11) — I also think she has more of a reputation there than here. And since I know somebody will raise it somewhere, I’ll start by raising it here. I can’t help but wonder whether the presence of three women on the five-person jury might have produced some choices (Donoghue, Dunmore, Tremain and even Levy) that some of the more traditional Booker juries would have passed by. I haven’t read them so I can’t comment on whether that is good or bad — but I do know that the reading experience of the next six or seven weeks looks quite a bit different than it did last year or the year before at this time. Kudos to Canada for producing a book relevant to the corporate crime in the Gulf. Shelley: If corporate crime in offshore drilling is your interest, you’ll find that Moore does include that element in the Ocean Ranger aspect of the story in February (that would make it systemic, right?) Although I should emphasize the book is much more about how a pregnant widow survives. 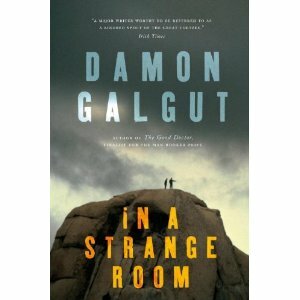 I haven’t read any of the list, and really only the Murray and Galgut books pique my interest. So I’ll be interested in your views on them if you get to them Kevin. Good to see through this post and all the comments that there will be no shortage of handy reviews of the longlist, thanks Kevin, Trevor and Kim! Leroy: I’ll admit that my interest in reading the Booker longlist probably is more a reflection of my journalist background than my reader tastes. Luckily I have the time to read and, however much each year’s jury comes in for criticism, the list is generally a fair reflection of the current state of play in English language fiction (the Americans catch up later with their contests). In the same way, I think the Giller does that for Canadian fiction. And I would like to think that reviews of the entire list from a single reviewer add a particular perspective for those who don’t want to read all (or any) of the actual books. Your comment about Galgut and Murray — who I am also looking forward to — also illustrates one of my initial reactions to the list. I can’t see either Room or Trespass being of interest to you — but then I can’t see Galgut of Murray appealing to someone who loves those books. Which means that the judging session must have been fascinating and the shortlist process promises even more head-scratching. Lisa: It does seem to me that one of the things the blogging world can do is provide an informed “filter” on various sub-groupings of books to help serious readers make choices on how to spend their valuable time. I certainly appreciate your contribution with the Miles Franklin and other antipodean prizes — indeed, I was almost hoping to see Truth on the Booker longlist just to see what reaction it would produce (e.g. can eruptions in Australia be seen with the naked eye in Alberta?). Also, this jury does seem to have been generous with the Old Dominions — two for you, two for us. In fact, if they had included Forna’s The Memory of Love to provide a second African novel with the Galgut, I’d say it would have been the most geographically dispersed longlist in many years. *chuckle* Truth on the Booker, I wouldn’t mind that so much. What sticks in my craw about judges tampering with the Miles Franklin is that the lady beggared herself to leave an award with criteria she was quite clear about. I don’t think people’s Wills should be interfered with on a whim or some publicity stunt – apart from anything else it makes others reluctant to endow an award if they don’t feel confident their wishes will be respected. I’m not sure whether publishers love it LOL: we’re not quite so ‘tame’ as professional print reviewers, some of whom never write a bad review, they just don’t review books they don’t like. I am looking forward to reading your thoughts on the books! I too have several on order. I’ll certainly follow your reviews with interest Kevin, though I must say my personal interest in the Booker is increasingly waning. A lot of them seem to be just decent and readable novels, rather than great literary fiction. And this isn’t the first year I’d say that of either. Still, there’s an obvious danger to forming any sort of judgement on books I haven’t read. I’m particularly looking forward to your thoughts on C and the Galgut, the only two so far which really get my attention. That said, I’m wholly unfamiliar with the Murray and your and Leroy’s interest suggest I should pay that more attention to. 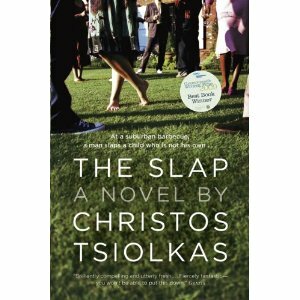 “The Slap” was so terrific I didn’t want to share it with another reader, for fear she would try to spoil my joy. Once these distinguished judges had chosen it too, I lent it to my daughter, with instructions “Do not dis this book!” “February” was a worthy second because it is generous and thoughtful. It remains on my shortlist. Now that I’m into “Parrot”. I can see that so far my shortlist is only two. Mary: I think that is the most enthusiastic endorsement of The Slap that I have seen — sure hope your daughter likes it :-). 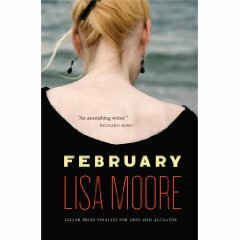 I think the appearance of February on the list was a surprise to many — and I have not seen many new comments about it since the longlist came out. You’re well past the halfway mark now Kevin, any thoughts on how the year’s shaping up? Any common themes you’d draw out? I’ve seen some comments in individual reviews, but I thought this overview post was a good place to ask that broader question. Thanks, Max. I am re-reading Tom McCarthy’s C today, which is book number 11 for me (Betrayal and Skippy Dies to go) and welcome the chance for a break. I think this year’s longlist reflects some widely varied tastes in the jury, My hypothesis is that they decided to get along with each other on the longlist — that may well continue with the shortlist, but I do see major disagreement looming eventually because if you like some of these books, you loathe others. That push is going to have to come to shove at some point. 1. 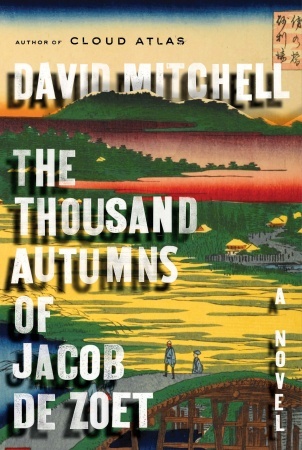 Historical novels from established writers with reputations — Mitchell, Carey, Levy. I would say this is a perennial Booker category that frequently produces a winner (like Martel last year) and suspect that this was the category where most of the jury agreed. The interesting challenge is that for me — and most of the comments and reviews that I have read — the 2010 books are definitely not the best for any of these authors and indeed may not be up to his or her “normal” standard. 2. 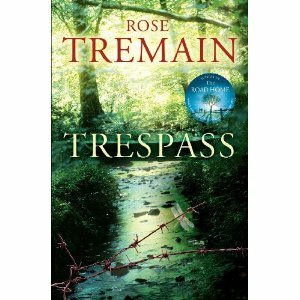 Books “that people buy” — Tremain, Donoghue, Moore, Dunmore (although she might fit the first category better once I have read it). I’ve struggled elsewhere with trying to name this category (“middle-age chick lit” was a bad attempt at irony, “book club books” was seen to be judgmental). I can just see one or more jury members saying “why does the longlist never have any books on it that people actually buy?” The prime demographic in book buying is female (hence my bad attempt at irony) and I think the three that I have read would all be wonderful book club books, encouraging debate. And from what I have seen women readers all are more positive about those three than men readers are. 3. Modern books “with a story” — Warner, Tsiolkas. Again an attempt at “books people buy” but these have more bad words and are probably meant for younger readers. 4. The “literary” novel that is allegedly traditional Booker fare: Galgut, McCarthy, Jacobson (not really sure where he fits since I didn’t finish it), Murray (I think from reviews I’ve read — he might fit category 3 better). My tastes lean very much to category 4, with an appreciation for category 1 (although I am one who found this year’s books not up to the authors’ previous efforts). I’ve read all but the Dunmore in categories 2 and 3 and have found them pretty ordinary — I suspect the same thing that leads me to that judgment may be their biggest strength for those who like them (and I am certainly not criticizing those who do). If the jury decides to keep on getting along and reflecting varied interests at the shortlist stage, I’d expect to see two titles from category 1 (my guess would be Mitchell and Levy), two from category 3 (Tremain and Donoghue) and two from category 4 (can’t really say until I read Murray, but Galgut would definitely be a choice for me). If I am right that there are two broad camps (let me call them literary and accessible) and they do decide to war it out at the shortlist stage, look for a tilt one way or the other. While in some ways I have found it a frustrating Booker reading year (I have only really loved the Galgut), except for the Jacobson I have found something to appreciate in each novel. The biggest problem for me has been that almost every one shows strength in the first half and then at the midpoint begins a downhill journey into some level of frustrating mundaneness (others have used the term boredom). In addition to Galgut, my shortlist (in order of when I read them, not preference at this stage) would be Levy, Mitchell, Tremain, McCarthy and (I expect) Murray. Since you follow me faithfully, you’ll know I had problems with the three of those that I have reviewed to date, so overall there have certainly been better Booker years. And as much as I didn’t really like some of the books, I’d give the jury credit for putting some books on the list that are unlike what we usually see. Certainly there are some that I would have rather seen (Even the Dogs, The Imperfectionists, The Memory of Love) but I could find flaws with each of those as well. Excellent thoughts, Kevin. There’s no way I’m going through the whole longlist this year. I just know I won’t like several of the books, whatever their virtues. I’m just about to halfway point in C now, and I like it quite a bit, though there are times when I’m easily distracted by whatever’s going on around me, which is not a good sign. I’m also a bit turned off by some strange word choices, which I think are wrong in some cases (like when they speak or signal to a deaf person who is not looking at them and they call the action “redundant”; is it just me, or does that word not fit right? ), and this gives me a niggling feeling of doubt as I read the better passages. As much as I didn’t like the Mitchell and had problems with the Carey, I did feel that they were in control of their words. Still, I am enjoying C much more than I enjoyed either of those books. I’m starting to believe that blogging has ruined the Booker for me. Before blogging, my favorite sources for book recommendations was the Booker and Pulitzer. I didn’t read nearly as much as I do now, and most of the time this brought to me books I’d never heard of. Now, though, with so many great book blogs, there are several other sources which produce, almost without fail, great book recommendations — too many books to read, actually. In this world, reading the Booker longlist has become a bit of a bump in the reading year. Also, since there are bloggers I trust, like yourself, I can read their thoughts on the book and go away with a strong impression to read a book or not. All that said, I really can’t wait for the Giller Prize. Canadian literature is still very neglected, by me in particular, so that prize gives me the chance to read some great books that would have slipped past me otherwise. Plus, it’s just a lot of fun. Trevor: You raise some interesting points regarding personal Booker reading history. Until four or five years ago, I paid little, if any, attention to the longlist but did read most, if not all, of the shortlist. Since I wasn’t buying books online then, the rationale was pretty mundane — the shortlist books were the only ones available in Canada (and often not all of them). I would certainly agree that the online/blogging world has changed my approach to the Booker. Indeed, it was the MB forum that introduced me to online book discussion — also where I first met bloggers (including you) who I now consider very, very good friends. This will be my fourth year of attempting the whole longlist and I don’t find it a disappointing experience. Two thoughts on that. The first is that through a couple of forums and a number of blogs, I do start my “Booker” reading much earlier — UK published books that I am interested in anyway come to my attention much sooner. Also, since I don’t have a job that demands attendance and reading is my primary occupation, I have the time come the end of July to be Booker-focused. I should finish this year’s longlist next week — that means my “only Booker” reading period was only four weeks, which doesn’t seem a chore. Since I have started reading the longlist, I have always regarded it as a kind of survey course on what five jurors think is good that year (as opposed to some sort of definitive list) — what I’ll remember 2010 for is taking me into some books that I would have otherwise avoided (alas, usually confirming there were good reasons to avoid them). I do regard the learning as a worthwhile return on time invested. In Booker terms, what the online world has done for me is doubled or tripled the “longlist”, by bringing up books that I would otherwise not known about. I fully agree that an even more important result is bringing to my attention a wealth of potential reads for the other 48 weeks of the year. Whereas I used to rely on newspaper book sections to keep track (and they are disappearing) I now scan them and rely on bloggers and a handful of literary publications as my sources. And I do look forward to the Giller every bit as much (probably more) than the Booker. Obviously a lot of that is because of where I live and the fact that my Canadian literature experience is much more comprehensive than my modern UK one. From the advance notices that I have read and the books that are starting to arrive in the mailbox, I am pretty sure that I will find this year’s Giller list more satisfying than my Booker experience. Neither, however, will have been a waste of time. I’ve been reading your reviews Kevin, but not commenting as although I’m interested in your take on the longlist I’ve yet to have my indifference to 90% of the titles challenged. Sometimes it’s good to have your prejudices confirmed! I did though successfully pick up In A Strange Room which I’m looking forward to reading imminently. Your overview is very good, and I’m also interested to see Trevor’s comment about the “falling out of love” with the whole Booker rigmarole, this from someone who was previously dedicated to what you might call the annual slog of the longlist. I’m interested in your analysis of the judging dynamics, and the inclusion of titles that have made you wonder “what were they thinking?” – eg Alan Warner, which review I just read. Is there a case that judges of this prize are damned no matter what they do? If they include Amis, Rushdie etc – it’s “all the usual old lags, stagnation, old-boys network” yet if they exclude them it’s “heavyweights discarded in favour of fripperies, track record ignored” etc. If they produce a purely literary list they get “elitist, who reads these books, middle-class navel-gazing” yet as seen this year (and when Child 44 was longlisted) any mention of more overtly populist writing calls the purpose of the prize itself into question. Which leads me to conclude: who’d be a Booker judge? I should just point out that the generalised Booker reactions I tried to summarise above are the typical mainstream media response (at least insofar as I can see) – and are part of the reason that I for one have started looking to this and other blogs for a more nuanced and intelligent take on the whole thing. Fascinating summary Kevin, thank you. I have to admit, I don’t regret at all not participating in the Bookerthon. Like Trevor and Leroy there’s simply too much there that doesn’t interest me, and I trust you to bring out the aspects of a book which may make it appeal to me even if in the end it doesn’t wholly work for you. I’d definitely be looking at your category 4 too, of those. None of the other categoriess particularly interest me or fit with my reading tastes (1 to a degree, but it’s not a large degree, the Mitchell interests me more because of the specific time and place chosen than because of the genre). Trevor makes a good point which resonates with me. Historically I used the Booker list to flag books to me I might otherwise have missed. With the blogosphere though that’s just not that necessary anymore, and I get more unanced views as Leroy notes. With that, the whole prize becomes a little redundant for me. Still, I’m looking forward to both your and Trevor’s reviews of C, the main book this year that interests me. I’m particularly interested now that neither of you is making unqualifiedly positive comments. Leroy: I think you are quite right about a Booker jury being criticized from some direction, regardless of who they are. Indeed, part of what interests me each year with the longlist is that it indicates the “personality” of that year’s jury — and what I was trying to say in my comment was that I respect that personality. So “what were they thinking?” does have some real curiosity in it — somebody really did think this was one of the best books of 2010. Max, Leroy: One thing the online world has done is make it easier to monitor the Booker choices without actually reading them — a combination of the MB forum, sites such as the Guardian and those of us who do try to read them all (Jackie at Farm Lane Books is doing the whole list as well). I don’t find it to be a terribly onerous chore since the books that I don’t much like tend to be ones that are easier to read (although I admit last year’s crop of 600-page doorstoppers was a challenge). And I certainly would not criticize anyone who declines to try the whole list — regardless of the “personality” of the jury, I’d say it is a good year when one-third of the titles are very good to excellent. Because I have lost your review somewhere in the 0’s and 1’s, I’ll just have to ask directly: Isn’t “C” “triggered” (Emma Donoghue’s word) by Alexander Graham Bell and his family? It is intricate and real and may displace “The Slap” at the top of my shortlist. Mary: I would say that elements of both Bell and Marconi are present in the Carrefax family — I don’t know the family history of either to say much more than that, although the deafness aspect is certainly consistent with Bell’s life. The arrival of signal transmission, initially in Morse and in voice on radio by the time the novel is closing, is one of McCarthy’s touchpoints for developing the tension between history and the present. Like so many other “real” things in the book, however, the author uses it as a device to create that intricacy that you have identified.